Though “Epic Mickey: Power of Illusion” arrives to the Nintendo 3DS system under the “Epic Mickey” monicker, its gameplay and visual style couldn’t be any further from the console series of video games – and that’s a good thing. 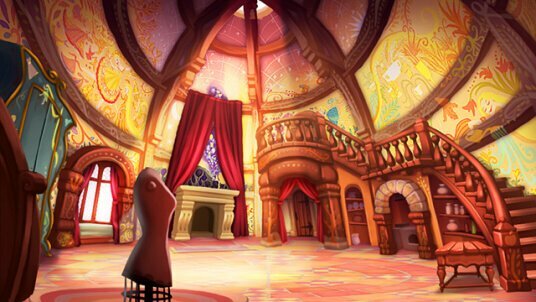 Differentiating itself by essentially acting as a sequel to a classic SEGA game called “Castle of Illusion,” the new game features a barrage of popular Disney worlds old and new, traversed by Mickey Mouse in an effort to defeat villains and rescue famous characters. “Power of Illusion” is a return to days of gaming lost to time. While most of today’s games rely on state-of-the-art graphics and sound, this new 3DS game harkens back to simpler side-scrolling adventures of the SEGA Genesis and Super Nintendo era. The system’s 3D feature is used only to enhance the retro visuals, adding depth to 2D layered backgrounds and animated characters. Paint and thinner are also used inventively to draw and erase objects from play, creating step stones or removing obstacles. This unique aspect forces players to think in another dimension, able to create and destroy parts of the game area to further them along. Entering into draw/erase mode pauses the side scrolling gameplay, at first jarring players out of the flow of the game. But once used to this method of play, the stop-and-go action becomes second nature and adds a welcome new element to a classic gaming style. Along the way, Mickey stumbles across hidden characters, drawing their outlines to rescue them, sending them away from the evil villain’s clutches and back to a safe “fortress,” which offers a whole additional area of gameplay. 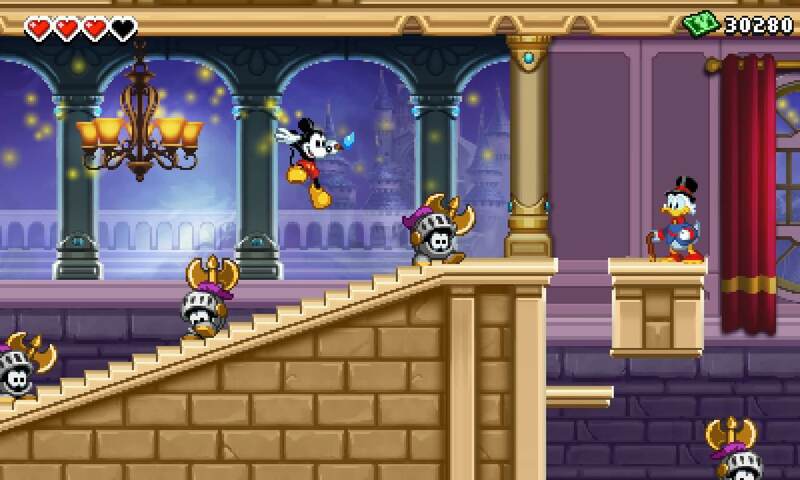 In the fortress, each character sends Mickey on a variety of quests to gather items or share information, sometimes within levels, other times between areas of the fortress. Beast needs books for his library, so Rapunzel is happy to share. Scrooge McDuck wants to build up his office and money bin, ultimately opening a store to sell players items that help in levels. Heavy on story and character usage, the fortress is at times even more fun than the side-scrolling levels. In return for helping these characters build up their fortress rooms, they reward players with aid in the main game, such as being able to summon Scrooge to bounce around on his cane (a la the old “DuckTales” game), stomping enemies across the screen. “Epic Mickey: Power of Illusion” works well in its simplicity. Older players fond of games from decades ago will immediately take a liking to this new game’s visual style and instantly recognizable controls. Younger players who aren’t as familiar with the low-tech games of the past will still find something unique and fun in its pick-up-and-play style. There are no long load times, no excessively detailed cutscenes, and no vastly confusing open worlds to get lost in. 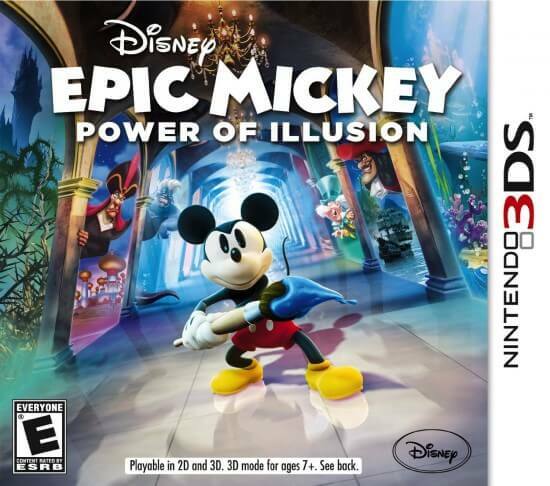 Instead, “Epic Mickey: Power of Illusion” is a fun way to unite favorite Disney characters under one banner, all aiding each other and in turn helping players to simply have a smile-inducing good time. It’s a must-play for any Disney fan. “Epic Mickey: Power of Illusion” is available now on Amazon and from major retailers. Disneys masterpiece show tron uprising is about to get cancelled!! Get over to chn.ge/RGVunX and sign the petition if you think the show deserves another season(which it does)! TRON LIVES! Hello there, just changed into aware of your weblog through Google, and located that it is really informative. I’m going to be careful for brussels. I’ll appreciate if you proceed this in future. Lots of other people will likely be benefited out of your writing. Cheers! Newer Newer post: VIDEO: Christmas fun with the Dapper Dans and the Grinch, New Fantasyland and Storybook Circus interviews with Imagineers.